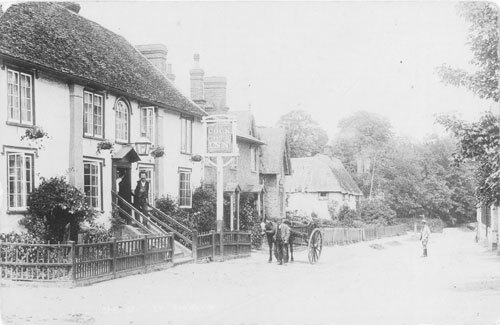 Two months after his father James and mother, Elizabeth Mison are married in All Saints Church, Little Thurlow, Suffolk, James Baker Waldon is born in March 1811, in Great Wratting, a village close by. 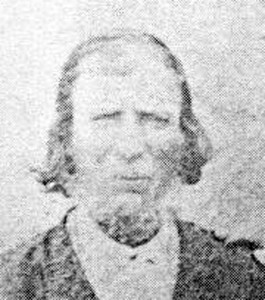 There is very little is know about the family, until the late 1820’s, when James Walden senior seems to depart Wratting for Bath, taking with him James junior and his younger son, John James, leaving their sisters, Rebecca and Mary with their mother. 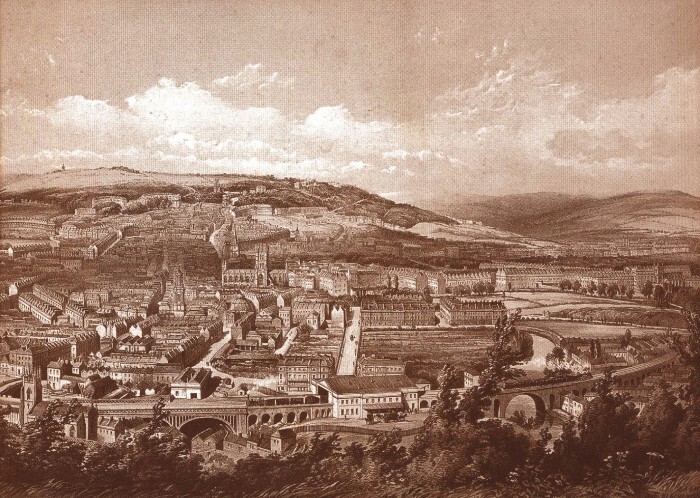 Perhaps life in Bath was hard, at the beginning, because in the spring of 1831, James Baker Waldon is arrested and sentenced to fourteen years transportation to the colony of New South Wales, his crime, stealing a handkerchief. 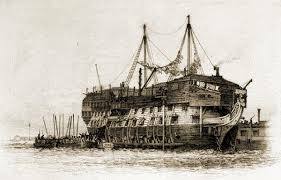 After a period of confinement in Ilchester Gaol, south Somerset, James is sent to the prison hulk Captivity, moored in the Tamar River, off Devenport, awaiting the transport ship, ‘Isabella’. From Galloway’s report, life aboard seems to have been fairly hum drum until the beginning of February. However, with the ship navigating the southern Indian Ocean, for reason’s unknown, other than, perhaps, bad conditions on board, the seaman revolt, a rumour being that they intend taking over the ship, sailing her to America and to freedom. A full record of the trial, regarding the riotous seaman, can be found as a link to ISABELLA 4, 1832 on the web site ‘Convict Ships to Australia’. 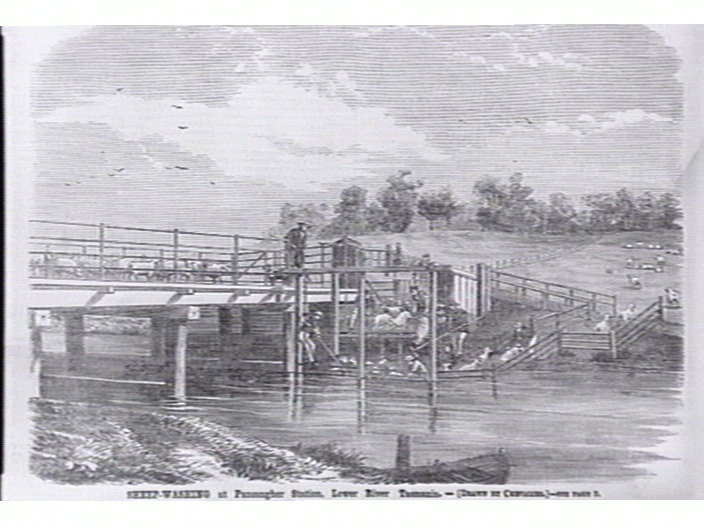 The rebellious seaman below in chains, the voyage continues, the officers, soldiers of the guard and some of the convicts sailing the ship, until she reaches Port Jackson in March 1832. 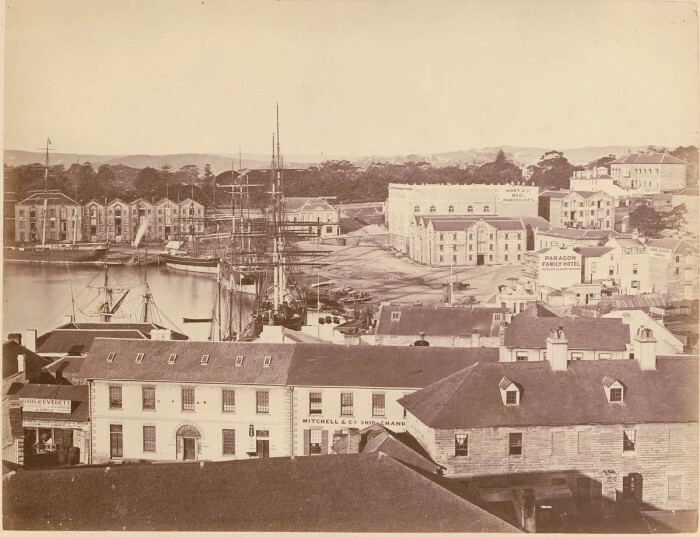 James is assigned, from the ship, to Mr Luke William Reddall of Argyle, a county many miles, south west of Sydney. 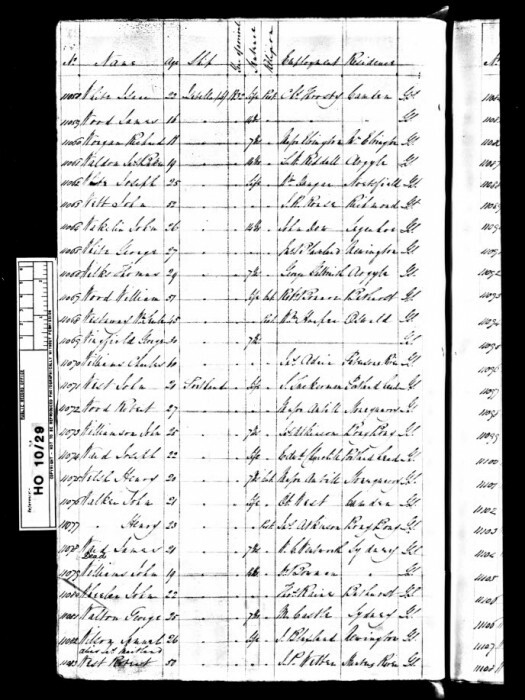 Luke is nineteen at the time of the assignment, James’ records revealing he is also nineteen. Possessing a long visage, the indents say he is of medium height and stout stature. A protestant, he can read and write, is single and has fair hair, grey eyes and AJJW tatooed on his left foream. In addition, he is an ironmongers aspprentice. Perhaps this is the reason Mr Reddall chooses him? 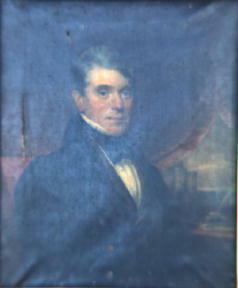 no known portraits of Luke William Reddall. But this is Luke’s uncle John Reddall, who would handle Luke’s shipments of wool once they arrived in England. When Luke was eighteen he tennanted land, promised to his father, Reverend Thomas Reddall, by the late Governor Macquarie, taking nearly a thousand acres, south of the new settlement of Goulburn. The farm was called Mutt Mutt Billy. It is quite possible James worked on this station. Could this be Mutt Mutt Billy? Thomas Reddall, Lukes father, was a prominent figure in the early days of the colony, having been asked by Lord Bathurst, the secretary for the colony, to travel to Australia to form a new education system. He and his wife, Isabella and their many children arrived on the convict ship, The Morley in 1820. She carried one hundred and ninety woman prisoners, Captain Brown, the officer, Thomas Reid, the Surgeon Superintendent. * The Mitchell Library, Sydney, has a copy of a book, written and presented to Mrs Elizabeth Fry, the famous philandthropist and campaigner for women, by Thomas Reid In it he describes the entire voyage, Thomas Reddall, mentioned considerably. Establishing himself in the new colony, Thomas is eager to obtain land and, therefore,status. However, to be granted property, he must earn it. Consequently, Governor Macquarie gives him the task of building a church, at a new settlement, south of Sydney. The church, ultimately becomes St. Peters of Campbell Town. Sadly, in 1838, due to an epidemic, disease unknown, Thomas Reddall dies, although, still in his early fifties. Days later, Lukes’ sixteen year old sister, Julia, also succums. They and other members of the Reddall family are buried in the family vault in Campbelltown churchyard. The Ticket of Leave system had been in practise for several years, allowing a Government man or an assigned servant, the opportunity to leave his assigned master and find paid work. After seven years, in the case of a fourteen year sentence and fourteen years, in the case of a lifer, a man could leave the place where he had been initially assigned, to hire himself out to other farmers. However, there were conditions attached to this allowance. A man must return each year to the place of issue, usually a magistrate’s court in the nearest town, to be re issued a further ticket of leave. The ticket of leave stubs for James Baker Waldon show two applications, one of which is dated the same day as William Poney the overseer on Durra Durra. It seems most likely, Poney and Waldon rode together, the many miles, from Durra Durra to Goulburn that day? Sheep Washing before shearing time. 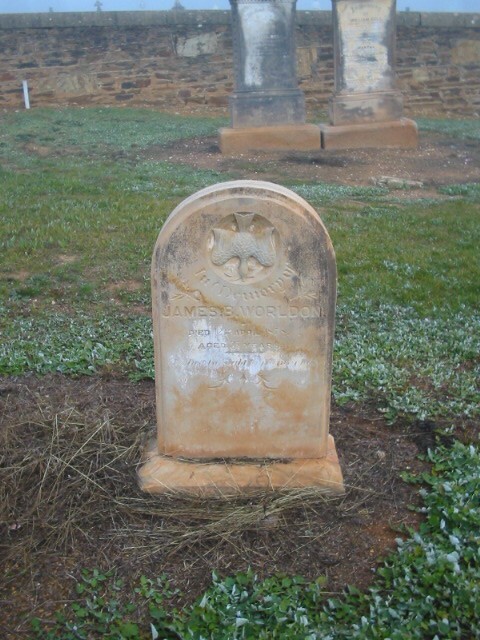 In 1842, Luke William Reddall, at the age of twenty nine, is washed away in the Murrumbidgee River while washing sheep, his body not discovered for six months. 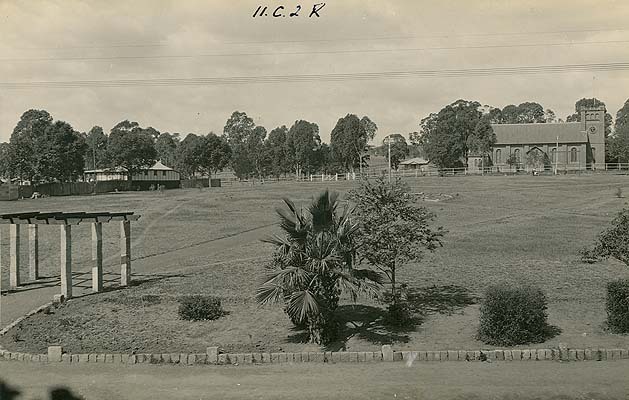 However,the tragedy of the Reddal Family does not end there, Luke’s older brother, John, finally comitted to Gladesville Asylum, a hopeless lunitic. 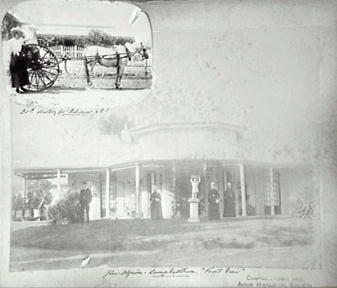 Isabella Reddall, Lukes mother, continues to live on at her family home, Glen Alpine, a few miles west of Campbelltown, along with her remaining daughters and her son Thomas junior. 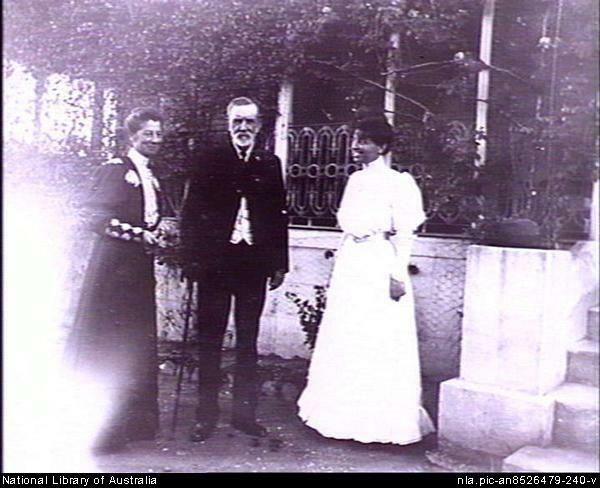 The Reddalls in front of their house Glen Alpine, nr Campbelltown, New South Wales. After Luke’s death, James seems to disappear, appearing again around Albury, close to the New South Wales border with Victoria. With him is Catherine Rhall and her sons, William and Richard. It seems, James has adopted the boys, later having a son and daughter by James, the couple naming them James Baker Waldon and Elizabeth. It is around this time there seems to be a name change from Waldon to Worldon. Perhaps someone was unable to understand a Suffolk accent. James next appears at a property owned by the Robinson family, south of Gundagai, called Kimo, later, parish maps, showing goldfields marked. Could it be James was bitten by the thirst for riches, following the various strikes occuring in the district? 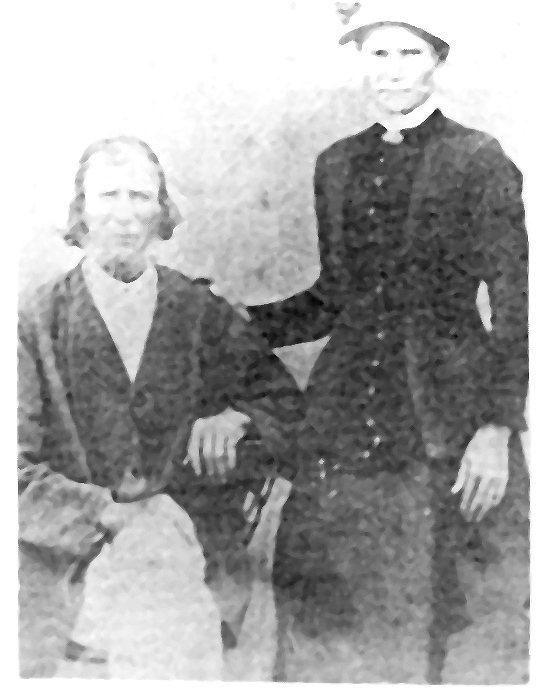 However, at Kimo in 1878, at the age of 68, James dies, his son James signing the death certificate, stating his father’s father, James Waldon, was a gentleman. 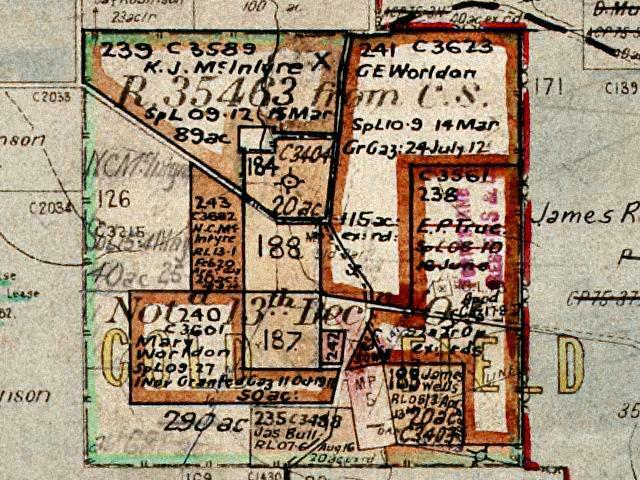 Parish maps dated later show, gold had been discovered locally, by the indications on the map, with even a Worldon listed as working one field. In fact, back in Bath, James Waldon senior has gone up in the world. Since his son’s arrest, it seems he is firstly a gardener, rising swiftly to the rank of butler to a widow, Mary Cater Denby and her son William and daughter Elizabeth, living at number 6 Upper Church Street, Bath. James senior dies in 1850 of consumption, leaving a will, (James Waldon, Butler of Bath, National archives. wills online) in which he gives his son, John James, ten pounds and all his wearing apparel. With various changes of spelling, the Waldon line continues in England with John James Waldon, James Baker Waldon’s brother, marrying Selina Gough, who produces a son, Edwin, and through him, down through his various sons until the present day. In Australia, as Worldon, the family is centred mostly, in the area around the town of Gundagai.